Last week the Marine Scotland team tagged a further 8 salmon, all hand-picked by MSS scientists in the boat with the Usan Fisheries netting crew. To date 39 spring salmon have been tagged and good numbers seen. No fish of under 60cms in length (tip of the nose to middle of the tail fork) has been tagged. Tagged fish are all 70cms or more in length. Some are 2SW and some 3SW. Of the 39 salmon so far tagged, seven have entered the river and been tracked as far as the Kinnaird dyke. It is possible that some fish may have crossed the dyke and are hunkered down in the stretch between there and the next receiver upstream, which is quite a way upriver, close to Brechin. One fish was recorded by the Kinnaird receiver and has since dropped back, to be recorded for a second time by the receiver at Bridge of Dun. It is not known whether this fish has headed back out to sea. No fish have been recorded in Dee, Tay or North Esk, where receivers lie in wait to track them, should they choose to enter those rivers. With salmon so far tracked only into the South Esk (including our ‘Hamlet’ fish, which doesn’t seem to be quite sure where it is going!) we are at present not looking at a mixed stocks (multi rivers) scenario, although I am in no doubt that we will get evidence for that in due course. What we can say with certainty is that 17.9% of the spring salmon tagged from Usan nets to date have chosen to enter the South Esk. 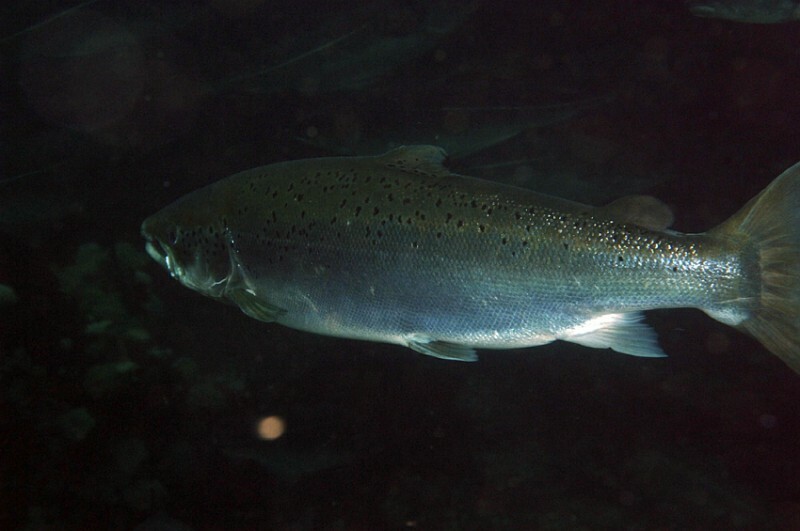 Because the river is so low it is more than likely that the other 32 tagged salmon will still be in the sea waiting the arrival of a spring freshet to ‘call’ them into the river. Of course, the longer they stay milling about in the sea, the more vulnerable to predation they will be. If you combine the number of tagged fish with with the encouraging number of salmon being seen in the nets by MSS scientists, from which they have been able to select the best ones for tagging, it is clear that a useful spring run of 2SW and 3SW salmon exists, although we know very little about its abundance. Putting some numbers on these valuable, early running fish is our next challenge. One final point: in my weekly chat with our scientist friends in Montrose I always ask about the condition of the fish they have seen in the Usan nets. So far all the reports have been good: spring salmon in robust condition, apparently with plenty of body fat to see them through to spawning next winter. To summarise, we are seeing encouraging numbers of salmon, a good proportion of which may ‘belong’ to the South Esk, and they appear to be in good nick. If the water levels were higher I am in no doubt that we would already have counted a few more salmon into the River. Tagged salmon in the S Esk. Gordon Smith told me today that the Marine Scotland team in Montrose has now radio tagged and released 31 salmon from in the Usan nets. Of those 31 fish 3 have been recorded in the lower pools of the South Esk, but none so far have migrated beyond Kinnaird Dyke. No tagged fish have been picked up on Tay, North Esk or Dee receivers to date. Drought conditions. Anyone looking at the Finavon webcam would immediately be aware of the unseasonal low water in the South Esk. Those of us who observe salmon behaviour in the river have a consensus view that there will not be much movement of fish until we get additional water. With no reserves of snow in the glens to give the river a late winter boost we are entirely dependent on rain, and the sky shows no signs of bringing that in the quantities we now badly need. So, three tagged fish from the Usan nets in the South Esk, and probably more to come. Meanwhile the Usan nets leaders are in the sea again and we expect the process of tagging spring 2SW and 3SW salmon to continue. One thing can be said of the tagging project is that to date it has met its targets. Postscript written on 22/3/2012: the river is now very low. Only a trickle of water is flowing on the north side of the ‘armchair rock’ which is the boulder in the centre of the webcam picture. In these circumstances it is unlikely that there will be much movement of salmon within the river, of kelts migrating downstream and fresh fish ascending the river. There is also small chance of new fish entering the river in any numbers. It is in situations like this that we realise how like a ‘spate river’ the South Esk can be, although, strictly speaking, a spate river is what you find on the west coast and in the islands where rivers rise and fall within hours and where you can start the day with low water, enjoy a productive spate at lunchtime, and be back to low water in the evening. The South Esk isn’t quite like that, but, as John Ashley-Cooper says, it does assume very small dimensions in a drought. Usually at this time of year there are a few snow filled corries to give the river a boost of fresh water from snowmelt, but not this year. 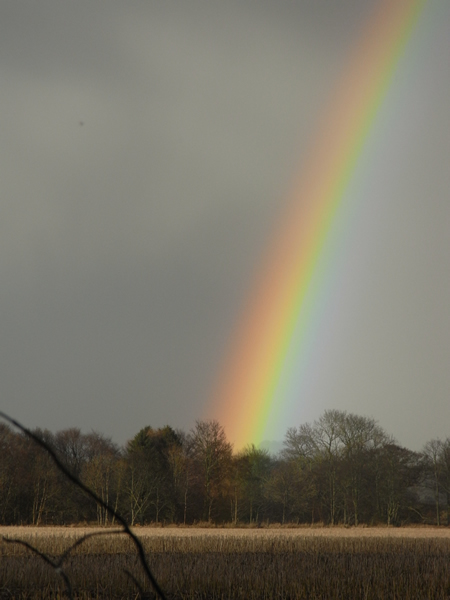 The early season in Angus is very often quite wet, with driech days and scudding rain blown into the catchment by gales from the east, sometimes from the southwest. The rain, combined with a slow snowmelt, normally keeps the ‘armchair rock’ well covered. But this year, since the beginning of March, drought conditions have prevailed with the result that the run of early running salmon has come to a grinding halt and the armchair pokes out of the riverbed like an old tooth. But off the coast, thanks to the Marine Scotland monitoring project, we are seeing reasonable numbers of salmon caught in the nets, which has resulted in the target number of 2SW and 3SW salmon being radio tagged. These tagged fish have little incentive to enter the river in these very low water conditions. It can be assumed that, as more fish accumulate in the Scurdie Ness/Lunan Bay section of the coast, they will stay in the area of the South Esk estuary like aeroplanes in a holding pattern awaiting permission to land at Heathrow. Fortunately these salmon will not be killed by netting, although the likelihood of predation by seals is heightened as the concentration of waiting fish grows. A promise of things to come? The message is a simple one; We need rain, and preferably lots of it! April the First. Lemno Burn Day! Thank you very much those of you who have said you will come to the Red Brae at 10am on Sunday 1st April to help clear the bed of the Lemno Burn. So far there are six of us. Can I also take this opportunity to explain that improvements to the South Esk’s tributaries will benefit the river as a whole, not just a particular beat? 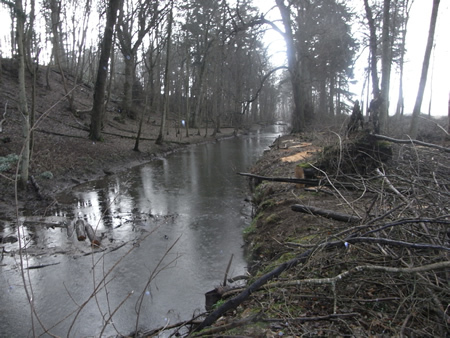 By extending spawning and juvenile habitats in the Lower Lemno we should be able to encourage some extra spawners to use this tributary, which at present is certainly under-used. I don’t own that section of the Lemno, but we do have permission to tidy it up after extensive winter thinning. Any help on that one day would be hugely appreciated, and a BBQ lunch will be provided in the Red Brae Hut or car park, depending on the weather. It goes without saying that anyone who does come along will be offered an evening’s spring fishing on one of the four FCW beats. I hope to see you there. Do give Moray a call (07835 717 150). We are looking for about a dozen people working in three groups of four. All the best, Tony. Posted in River Report | Comments Off on April the First. Lemno Burn Day!